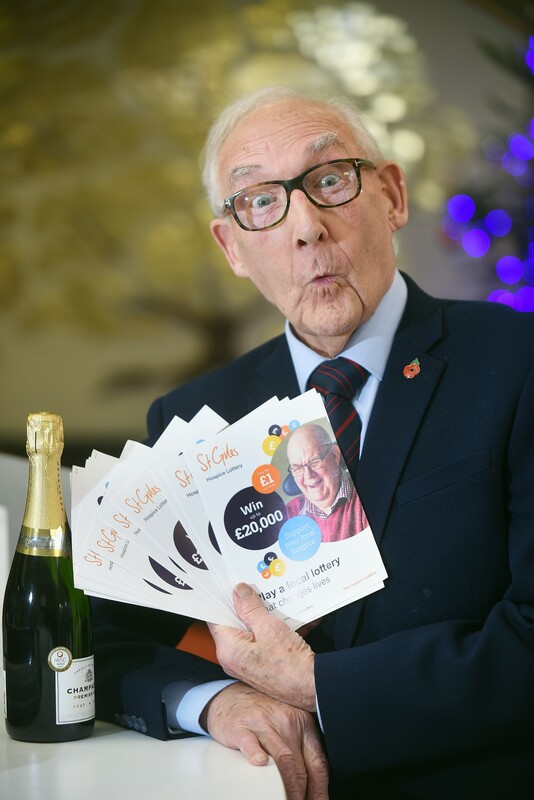 Winning the St Giles Hospice Lottery has come as no surprise to a Burton pensioner – after a friend in the Far East told him he was going to be blessed by some very lucky numbers this year. Bill Schofield, of Stapenhill, who has been playing the lottery for 19 years, is celebrating after scooping the £1,000 jackpot in the 16th November draw. He has had his fingers crossed for a spot of good fortune since he marked his 88th birthday in January and his friend, who works for a shipping company in Singapore, told him that the number eight was regarded as very lucky by Chinese people – and that as he was 88 he should be doubly blessed. Bill said: “I’m a great believer in fate so I was hoping I’d get a bit of good luck, but I must admit that we’ve had to wait until late in the year to see the prediction come true. Bill, who was a cooper at Bass Brewery in Burton for 20 years before moving on to work at Drakelow Power Station, first visited St Giles Hospice after his retirement in 1990 when he and a neighbour, who was a painter and decorator, volunteered to paint one of the wards. His wife Muriel died of lung cancer 19 years ago and at the same time Bill was visiting the wife of a friend who was being cared for at St Giles, which supports people with a potentially incurable illness and their families. Bill saw at first hand the care that the hospice offers to patients and their loved ones and immediately signed up for the lottery to help fund its work. He has been playing the lottery ever since. He added: “There are so many charities out there and you can’t support them all but I just feel that St Giles genuinely helps lots of local people and you can see that your funding is spent on the services so I’ve always been really happy to support the hospice. I will be making a donation back to the hospice from my lucky win. St Giles Hospice Lottery Manager Alison Jerram said “At St Giles we believe that it takes a community to make a hospice and it’s the generosity of people like Bill, who support us year after year, that allows us to do the work that we do. St Giles spends more than £9m each year on caring for local people and our lottery is a major part of our fundraising efforts. “We’d like to congratulate Bill on his good fortune and hope that his winnings will help him to enjoy a really happy Christmas with his family. Find out more about the St Giles Hospice lottery here.